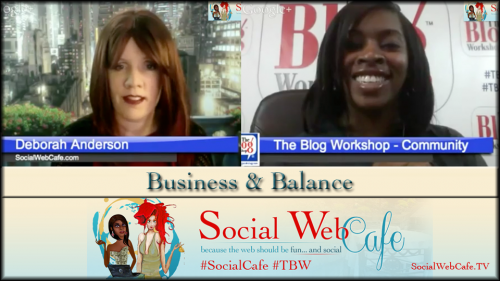 Join Deborah and Da Vinci and listen to the Social Web Cafe TV June 4th social event web show to find out about blogging business and balance. Subscribe to this podcast to be notified about each podcast, as well as interview episodes, and visit SocialWebCafe.TV to find out more information. The Blog Workshop (monthly training! ).